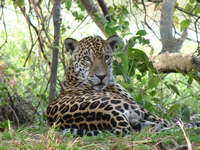 For the last three years, WLT has been working on the Paraguay Forest Conservation Project to help tackle the alarming rate of deforestation in the country. Not only has this project already saved over 14,000 acres of biodiversity-rich habitat from imminent destruction, but has also enabled indigenous people to reclaim community ownership of their traditional land. Deforestation and forest degradation accounts for nearly 20 per cent of global greenhouse gas emissions, more than the entire global transportation sector. In response to the impact that forest clearance is set to have on dangerous climate change, WLT is backing an initiative entitled Reducing Emissions from Deforestation and Forest Degradation (REDD). 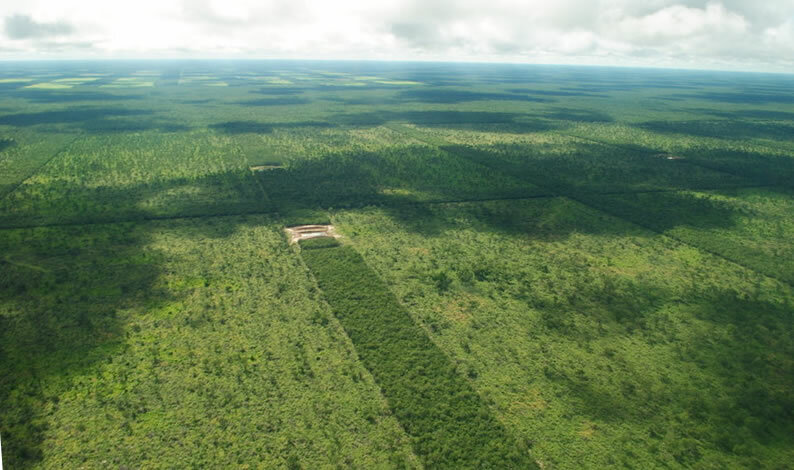 An aerial view of the unbroken forest of the Tobich Reserve, being protected by WLT’s partner Guyra Paraguay in collaboration with the Yshir community. 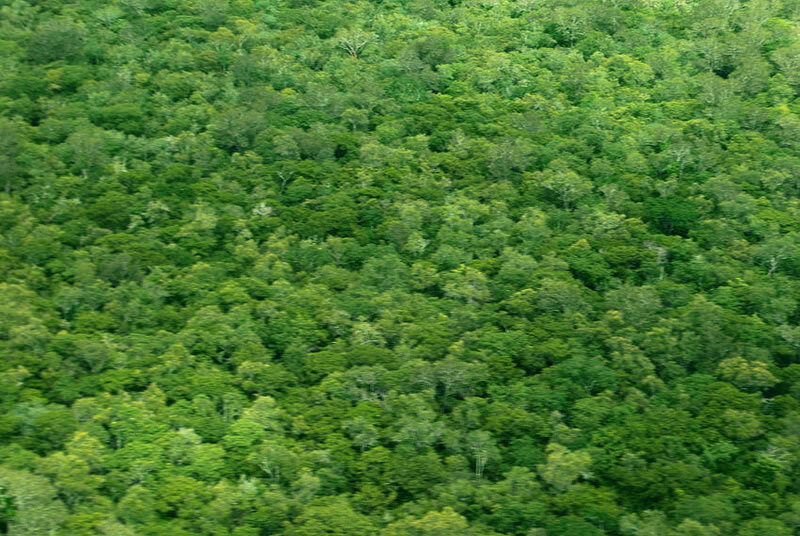 REDD is a way of putting a financial value on the carbon stored in forests, offering incentives to protect them. REDD+ goes beyond avoided deforestation and forest degradation to include the role of conservation, sustainable management of forests, and enhancement of forest carbon stocks. The Paraguay Forest Conservation Project is a large-scale REDD+ project that WLT is implementing with its local partner, Guyra Paraguay, in collaboration with the local Yshir community. WLT believes that REDD+, if the project is well designed and properly executed, is a successful means of financing the protection of biodiversity for the benefit of local communities, in the fight against dangerous climate change. 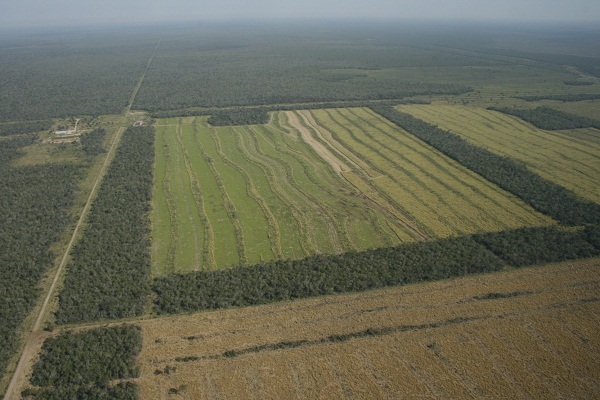 The Paraguay Forest Conservation Project is being funded by WLT corporate supporter, Swire Pacific Offshore Operations Pte Ltd (SPO), as part of their long-term and established commitment to sustainable development (SD), and the pledge of the Swire Pacific Ltd public group of companies at the beginning of 2012 to move towards net zero environmental impact. SPO is financing this large-scale conservation initiative for 20 years, with the extensive environmental and social benefits extending far beyond the project’s life. SPO have already reduced their carbon footprint as much as possible and the project will offset the remaining unavoidable emissions from their current level of operations for the next two decades. This is achieved through preventing the release of at least 840,000t of CO2 from forest loss in the biodiversity-rich Atlantic Rainforest and Chaco-Pantanal regions of Paraguay. This is equivalent to SPO’s annual emissions over 20 years. This REDD+ project consists of several components and recently the second stage was successfully validated by both the Climate, Community & Biodiversity Alliance (CCBA) and Verified Carbon Standard (VCS). VCS ensures that projects meet strict criteria and follow pre-approved protocols for quantifying greenhouse gas emission reductions or removals. While CCBA standards evaluate carbon projects, with a focus on measuring their added benefits, such as supporting local communities and conserving biodiversity, as well as the mitigation of climate change. Once a project has been verified by the VCS, it can generate carbon credits that represent the project’s emissions reductions. For example, one carbon credit is equal to one metric tonne of carbon dioxide. These credits can then be sold on the voluntary carbon market; however SPO will not be trading their carbon credits but retiring them to offset their emissions. This validation process has been a great effort for WLT and Guyra Paraguay, because of the complexities of meeting the project criteria and the organisational capacity needed for implementing the project. Successfully meeting these standards is an immense achievement; it demonstrates that WLT and Guyra Paraguay are not only committed to fighting dangerous climate change, but we are accomplishing this in a way that protects biodiversity and empowers local communities. What threatened habitats have been saved? In 2010, we completed the first component of the project in collaboration with the community of La Amistad, which is setting aside 550 acres of its wooded community lands to protect the Atlantic Forest of San Rafael in the south of Paraguay. The following year, WLT funded the 11,000 acre (4,700 ha) Tobich Reserve in the Chaco-Pantanal, protecting threatened forest in partnership with the Yshir community. This second component of the project has recently been validated by both the CCBA and VCS. 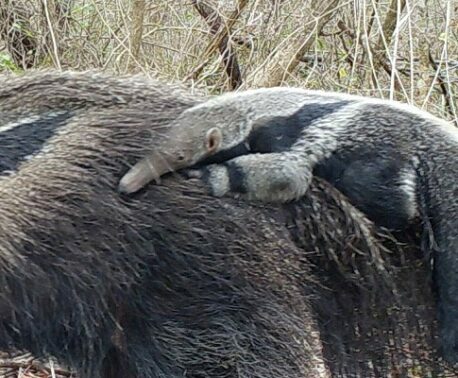 The Chaco-Pantanal region, in the north of Paraguay, is a unique transition zone between the Dry Chaco grasslands and the world’s largest wetland – the Pantanal. A mosaic of 10 different vegetation types – from dense woodland, palm savannah, to marshy grassland – the Chaco-Pantanal is a diverse habitat that is home to highly endangered species, including the Crowned Eagle and Chacoan Peccary – a species thought to be extinct and only known from fossil records, before it was discovered in the Chaco in the 1970s. This biodiversity-rich habitat is suffering from an alarming rate of deforestation; between 1991 and 2008, about 15 million acres (6.4 million ha) of the Chaco was deforested, largely for cattle-ranching to supply the beef industry. At times, the rate of loss was over 2,471 acres (1,000 ha) a day. Proposed deforestation plans for the Chaco show that the region surrounding the Tobich Reserve is an important development area for ranching. 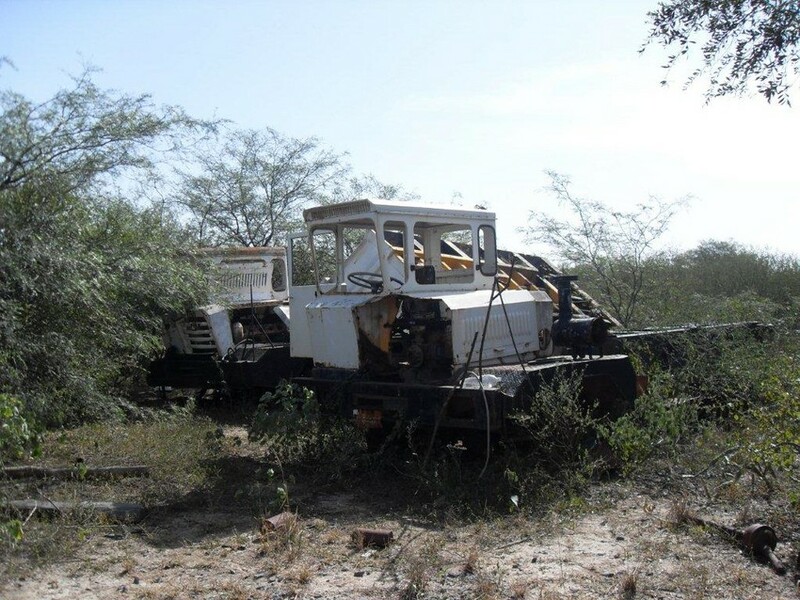 It was therefore a race against to time to purchase this land before the bulldozers moved in. Saving this land also marked a great success for the Yshir people; the reserve lies within their ancestral territories making the forests of profound cultural significance. Over the years their traditional land had fallen into the hands of private ownership and their forests destroyed – shattering their cultural connection to the land. Without the financial support of the REDD+ project, the Yshir people could never have reclaimed their land. They now co-own and manage the reserve with Guyra Paraguay, leading to full community ownership in the future. To mark this success the Yshir community renamed the reserve – once known as San Gabriel Arcangel – as Tobich, meaning ‘meeting place’. The name firstly refers to extensive number of meetings that WLT, Guyra Paraguay and the Yshir people had in order to set-up the project. Secondly, it is reference to their traditional way of life; the community’s Shamans or natural healers used to gather deep in the bush, including areas surrounding the Tobich Reserve. This practice withered away when the Yshir people started living in permanent settlements, but they now want to reinstate the area as Tobich in recognition of their traditional heritage and as part of a cultural revival. Working with local communities and empowering them to protect their own natural heritage is a key mission of WLT’s and the backbone of our conservation projects across the world. Due to their great conservation importance, both the Chaco-Pantanal and San Rafael are Forests of Hope under the BirdLife International programme. 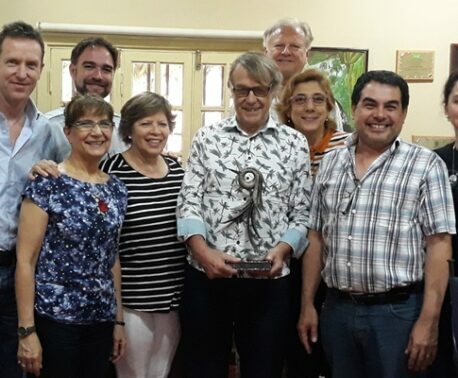 BirdLife International is a partner of both WLT and Guyra Paraguay and we are already exploring the possibility of working together on other collaborative initiatives, focusing on conserving biodiversity, combating climate change and helping create sustainable livelihoods for local people. In the years to come, WLT will continue to protect areas of the Chaco at risk from immediate destruction in order to offset SPO’s unavoidable emissions, continuing to ensure that every component of this REDD+ project is validated to highest standard. We also plan to replicate this successful model in other areas across the world, if we can successfully secure corporate support. We are already working with our partner Wildlife Trust of India (WTI) on developing a REDD+ project in India’s northern state of Meghalaya. The state is home to 140 mammal species, including Tiger, Asian Elephant, Clouded Leopard, Smooth-coated Otter, Hoolock Gibbon and Malayan Sun Bear – all of which are on the IUCN’s Red List of Threatened Species. 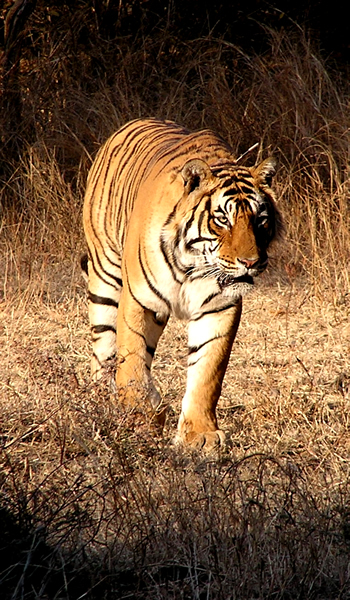 The India REDD+ Project, which we are working on in association with IUCN Netherlands, is moving towards CCBA validation planned for early 2013. WLT believes that working in partnership with a global network of organisations to empower local people is the most successful road to conservation success. REDD+ projects allows us to consolidate this mission, while gaining substantial financial corporate support for large-scale conservation to protect biodiversity and help tackle dangerous climate change.